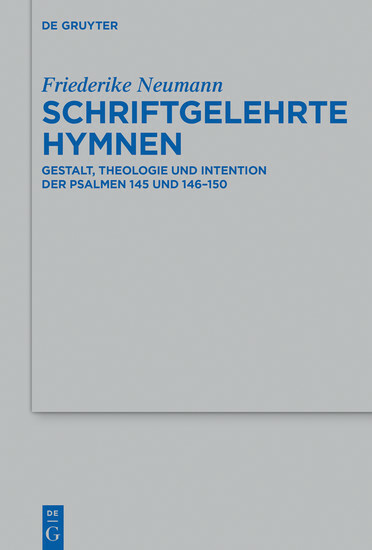 The study investigates Psalm 145 and the Psalms of Hallel (Psalms 146–150). For the first time, it reveals the intertextual character of these psalms and shows them as highly reflective theological texts. These psalms can thus be characterized as scribal hymns in which scribal theology is presented as the praise of God. The study develops the historical hypothesis that the editions of the Psalms of Hallel were the results of successive growth. Friederike Neumann, Carl von Ossietzky University Oldenburg, Oldenburg, Germany.